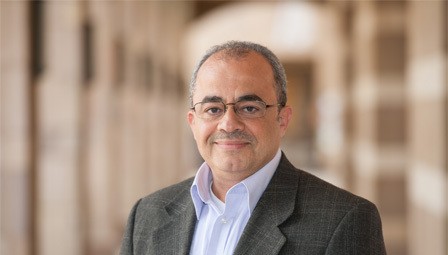 Internationally renowned Egyptian political scientist Emad Shahin will deliver a lecture, “The Middle East Beyond the Arab Spring.” His talk will focus on the political climate of the Middle East since the ousting of Hosni Mubarak in 2011. Shahin’s talk will be held on Thursday, November 13, 7:00pm, in Rockefeller Hall, room 300. This event is sponsored by the World Affairs Council with co-sponsorship from Vassar’s Department of Political Science and the Programs in Africana and International Studies.